Andrea's World Reviews: LUGZ Boots Review and GIVEAWAY! LUGZ Boots Review and GIVEAWAY! I am obsessed with boots. I love how cute they look, how they go with everything. I look forward to boot weather all year. As much as I love how stylish boots are, I equally despise uncomfortable shoes. That is often a huge problem for me when shopping for boots. It's easy to find gorgeous boots and to find comfortable boots, but it is very rare that you can find BOTH. That is why I love Lugz so much. All their styles are functional and fabulous. I just got the cutest pair ever, and I am so in love. 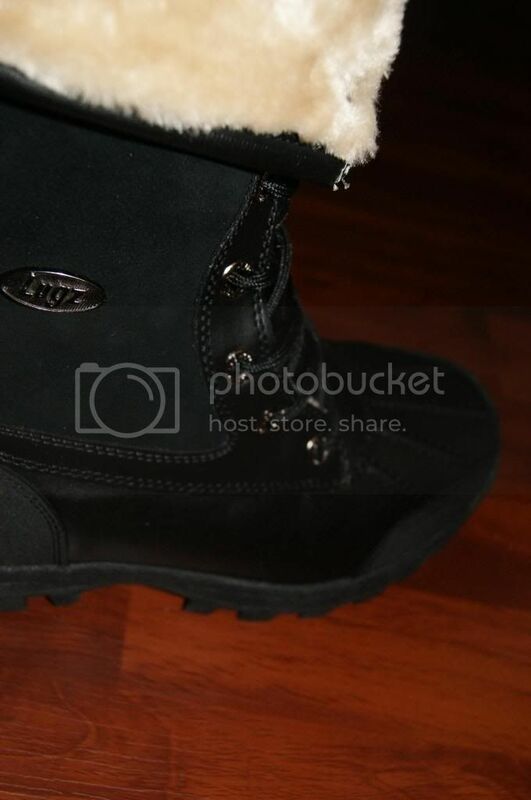 The Ladies Black/Cream Tambora Peacoat Boots are so beautiful. They are not comfortable boots that are cute, they are gorgeous boots that are comfortable. These are amazingly comfy. I like it when I can feel like I am not wearing shoes, bit these actually feel better than bare feet(and I hate shoes). 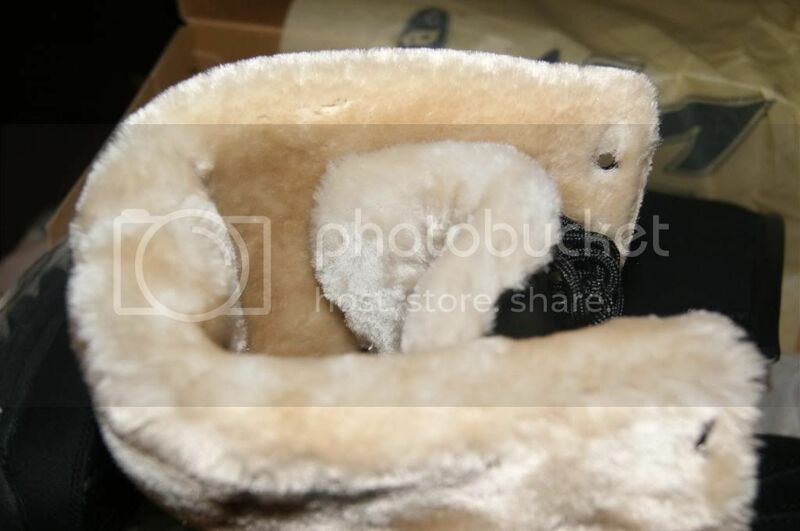 They are so plush inside it is like wearing slippers. These are like a dream to wear. Warm, fuzzy and soft as a cloud. I could wear them all day which is saying a lot for me, because I am nearly always barefoot. And of course equally important is the style aspect. These are perfect in that area too. I can wear these all the time with any number outfits and no matter what, I(my outfit anyway) will look fantastic. I have gotten so many compliments on these boots that I've lost count. My sister practically drooled on me when she saw them. My other sister already tried to "borrow" them. My Sister-In-Law hinted about her Christmas gift(being these boots) and all my neighbors have said how gorgeous they are. Not to mention random people in stores or just out and about. And not only are these fashionable and comfortable, but they are extremely durable. These boots will take a beating and stay looking fabulous. You can wear them for work or play, and they will have you covered and then some. I hate when you get a pair of boots(or shoes), and they just look and feel cheap. When you know that all it takes is one accidental toe stepping to ruin your boots, then you should really get better ones. Everyone wants to get the most value for their money, and these boots deliver everything you could ask for and then some. And of course the Tambora is not the only wonderful style that Lugz offers for women, and they even make them for Men and Children as well. Talk about awesome; getting quality, practical, super stylish shoes/boots for the whole family all in one place. 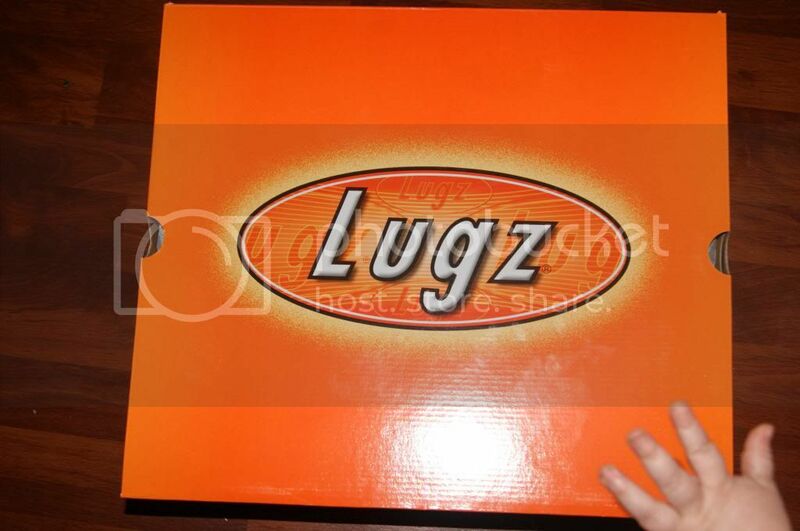 Lugz is a brand that I very much believe in and recommend at every opportunity. If you are looking for boots or shoes for anyone in your family, Lugz is the perfect place to get them. And as an extra special holiday treat, Andrea's World and Lugz are hosting a giveaway for a pair of Ladies Black/Cream Tambora Boots. Just enter below for your chance to win. Good luck. I am loving the pair you reviewed! How fab would that be to have those cozy boots! The Zen Knit in black is my fav!! I absolutely LOVE these boots! I love the Lugz brand overall.. i actually used to wear Lugz jeans when I was in high school:) lol I love the fur of these boots, and i love that they are so cute, but durable at the same time! Thank you Andreas World and Savings for Sanity for such an awesome giveaway! I'm actually loving the ones you reviewed and are giving away! Hubby needs work boots and my 13yo is asking for boots also. The Drifters all look great! Thanks for the giveaway! I am in love with the ones you reviewed! My favorite is the Black/Cream Tambora :) So nice! Love the The Ladies Black/Cream Tambora Peacoat Boots !! Black Tambora! Beautiful! Thank you! I love the ones you reviewed!!! I love these boots! They look so warm! 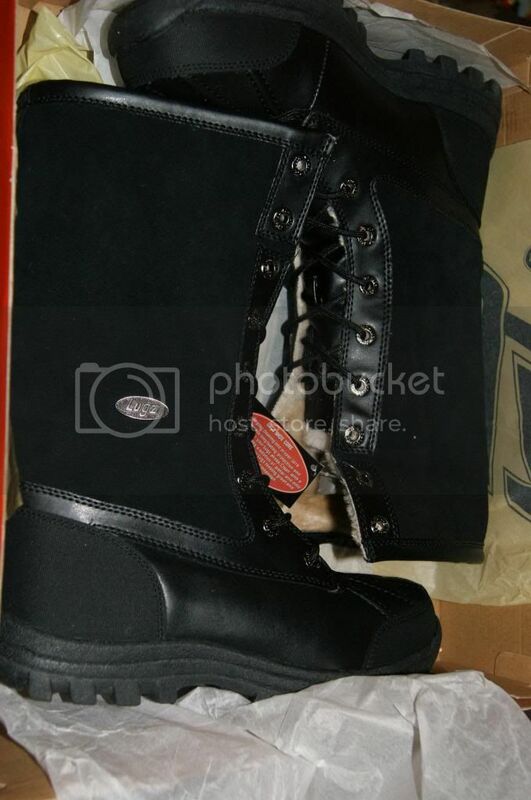 My favorite boot at Lugz is the Women's Black Tambora Boots! The Black Tambora Boots are my favorite. Love them. I like the quilted tambora in black and cream, they are so cute. I like the black Tambora. I do like the tambora boots pictured here, but I already bought a pair of Lutz work boots. Would like the Lutz hi Zen Boots in black. They look very comfy and it is something I would wear with sweat pants on Saturday. I think the Tambora is my favorite, but I really like the Zen Hi boots in chestnut too. Black is my favorite - black zen knit! OMG! Those Black/Cream Tambora are GORGEOUS! I'm lovin' the Drifter w.fur! Great review! Thanks for the giveaway! I like the Tambora Peacoat & Drifter Fur in Black. I want a pair of each! I like the Women's Drifter with Fur in Charcoal/Dark Grey. Tambora Peacoat. I like some of the other Tamboras, but the Peacoat is my favorite! I like the Wisp in Black. Black and Cream tambora ! I really like the quality of the Lugz products...my teenage boys have always been so hard on shoe sand boots, and these always last until they outgrow them...a rarity in shoes! I like the black Wisp the best. i love the pair you reviewed any black pair is goof with me though! The The Zen Knit in black is so pretty! I love the Wisp in black style! The Wisp boot in black looks very nice! Thái Cực đồ của hắn đã có thể dễ dàng bao quát cả bốn giới. Trong kế hoạch trăm năm này, vũ lực trong tay hắn đủ để hủy thiên diệt địa. tuyệt đối trung thành với Đoạn Vân. là cực hạn của họ. WAX ROSES(from Jewelry Candle) GIVEAWAY!! Yak Apparel Review and GIVEAWAY!! Draper Valley Vineyard Riview and GIVEAWAY!! Popcorn Passion Review and GIVEAWAY! Send Them Cookies Review and GIVEAWAY! Stayfit Deluxe Salad Kit Review and GIVEAWAY! Perfectly Posh Review and GIVEAWAY!